Alzheimer’s disease (AD) is a major subtype of dementia. Recent cohort studies have demonstrated that loss of masticatory function, periodontitis, and/or tooth loss are risk factors for AD. 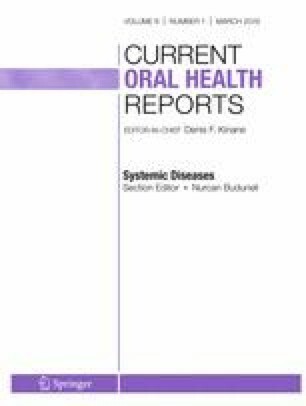 The present review provides an overview of the existing literature as well as recent evidence regarding the relationship between tooth loss and the onset of AD. In the dental field, tooth loss is one of the most relevant factors related to the prevalence of AD. This is important in a progressively elderly population because tooth loss is associated with the risk of mild cognitive impairment (MCI) developing into dementia due to a cascade of neurodegeneration caused by damage to periodontal tissues via the trigeminal nerve, locus coeruleus (LC), and hippocampus. Additionally, periodontal disease and/or the loss of masticatory function are likely to exacerbate factors associated with AD. Tooth loss in the elderly may cause neurodegeneration and act as a trigger for the progression from MCI to dementia. Moreover, neurodegeneration due to tooth loss is thought to exacerbate the accumulation of AD-specific amyloid-β and phosphorylated tau proteins, which worsen the pathological condition of AD. Although further evidence is needed, novel strategies for avoiding the progression to AD due to tooth loss in the elderly are required.